Please note that, to allow for the maintenance and repairs described below, the Albert Lowe Museum is closed from August 1 to October 31, 2018. 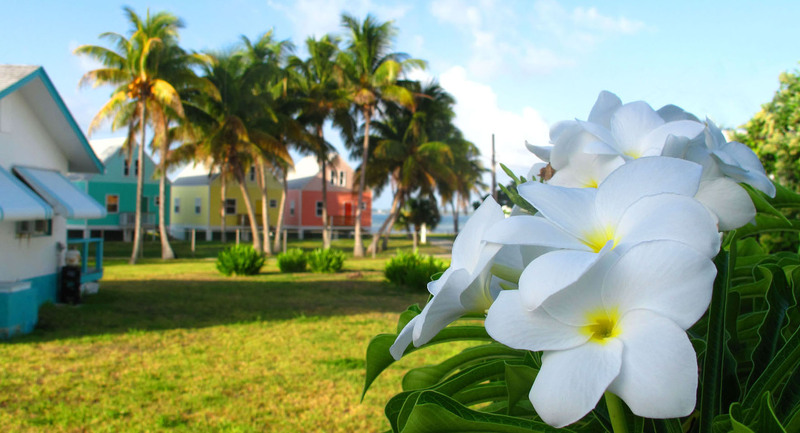 Seriously though, having recently marked the museum’s 40th anniversary, Alton’s taking steps to ensure the museum remains part of the Green Turtle Cay community for another forty years and more. Job one has been physical maintenance. The museum may be forty-something, but the building that houses it is nearly 200 years old. And before anything could be done inside, the roof needed replacing, to protect exhibits and archives from potential water damage. While the roof was being replaced, Alton’s friend Mike Donovan was busy wrestling the overgrown garden into order. Long-term, the goal is to return the garden to what it would have looked like back in the 1800s. 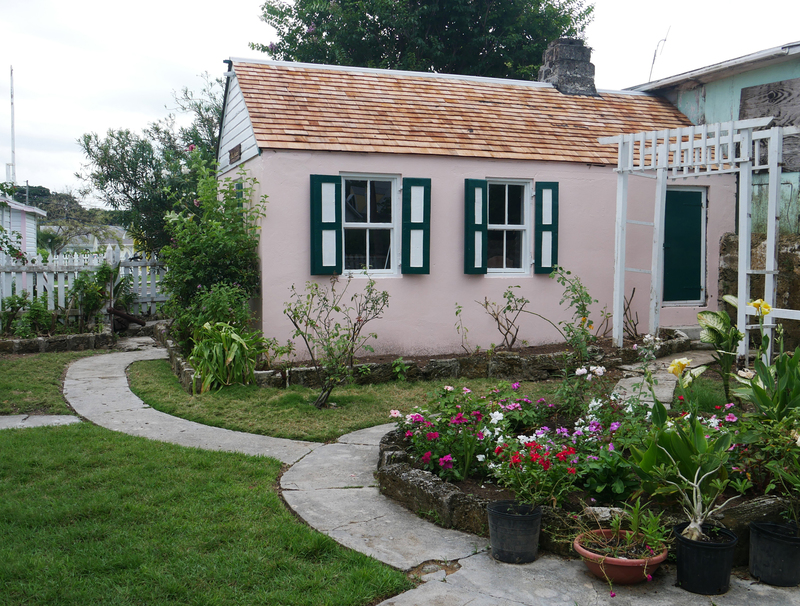 The museum’s original outdoor kitchen, and some new plants for the garden. Inside the museum, I’ve been working with Alton to improve the experience for visitors. We’re creating more information panels and exhibit captions, and we’ll be rearranging the existing displays and launching new exhibits. We’re on the lookout for some new, lockable display cabinets, and we’d love to be able to install air conditioning. Not only would this make the museum more comfortable for visitors, but — even more importantly — it would help protect valuable artifacts by allowing for better climate and humidity control. 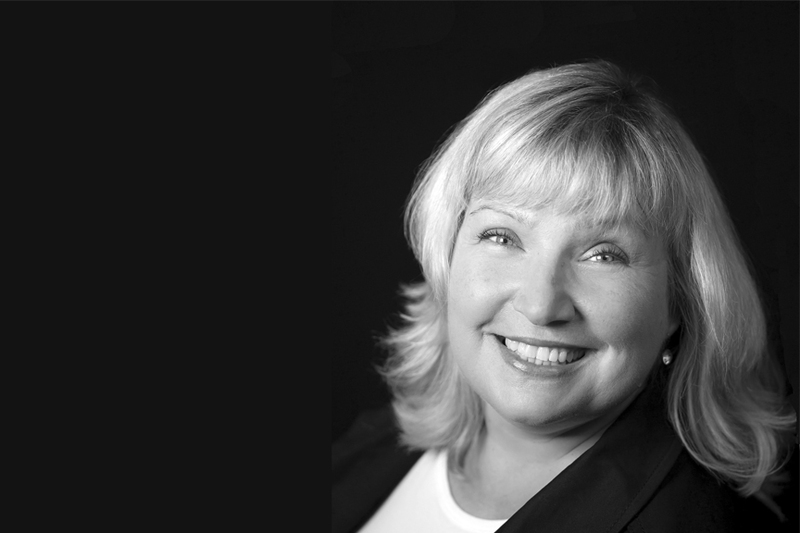 Recently, I introduced you to Esther Bethel, the museum’s new tour guide. And now, I’d like to introduce the museum’s new historian and special events planner… me! Alton and I have worked together on a number of projects, including my book, Those Who Stayed, the museum’s successful 40th anniversary celebration, and numerous blog and magazine articles. When he asked me to take on a more formal role at the museum, I accepted right away. 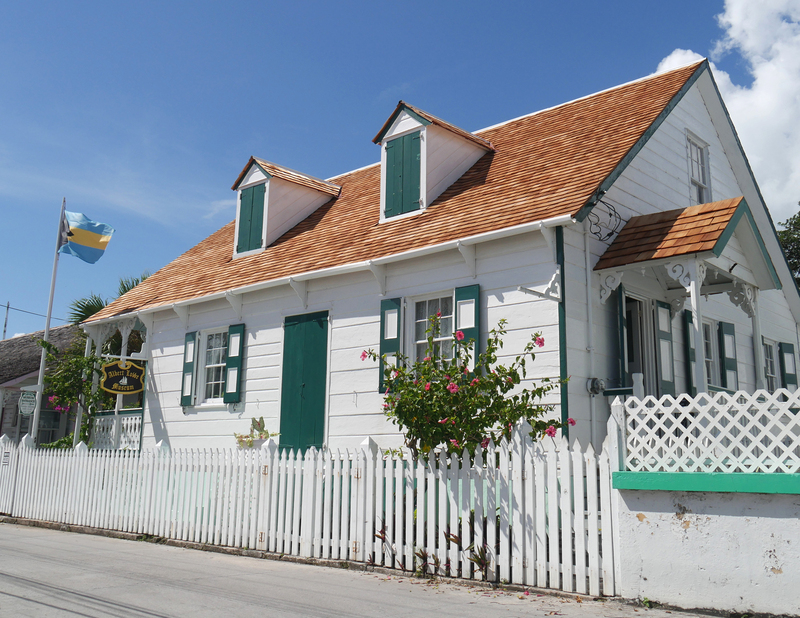 It’s no secret that I love Abaco history, and I so believe in this museum. 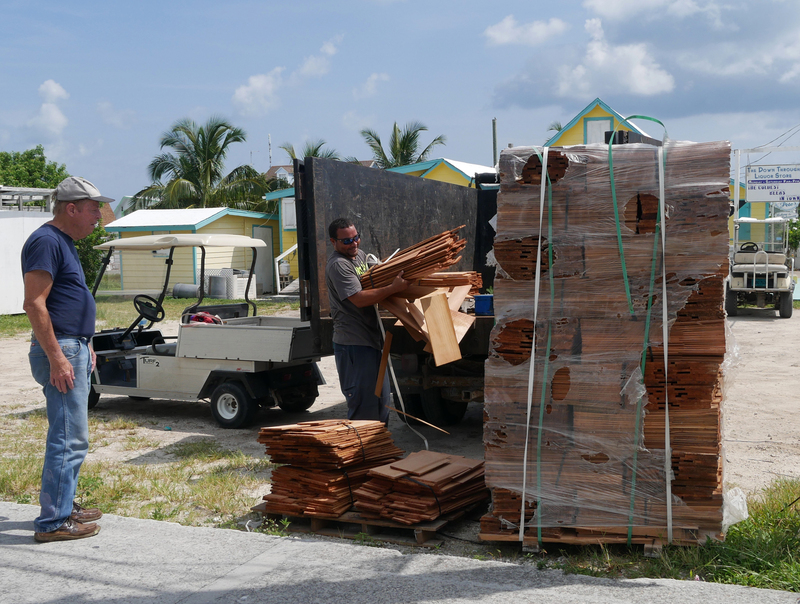 Much of Green Turtle Cay’s history was destroyed during the 1932 hurricane, and what remains needs to be carefully preserved. 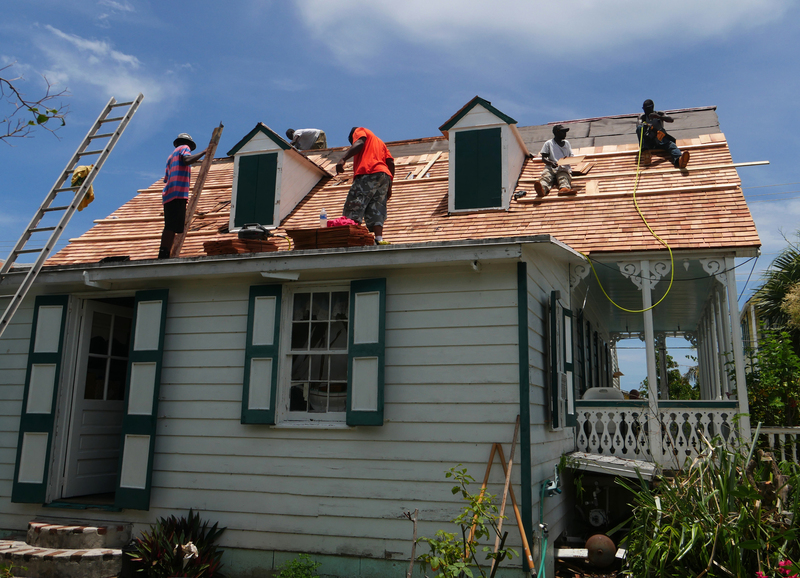 The Albert Lowe Museum’s entire purpose is to provide Abaconians and other Bahamians — current and future — with access to information about their history and heritage. I’m happy to do whatever I can to support the museum and ensure its long-term success. Many of the changes to the museum are intended to help make the museum more self-sufficient. You may not know, but aside from a nominal entry fee (which doesn’t begin to cover operation costs) Alton has personally subsidized the museum since its inception. And as he recently pointed out, he’s now in his 70s. Though Alton’s made the necessary arrangements to ensure the museum will continue should anything happen to him, it will need to be able to sustain itself financially. Toward that end, over the next while, we’ll be investigating and pursuing new avenues of government funding and soliciting private donations. Speaking of which, if you’d like to contribute toward the museum’s facelift (it will cost close to $35,000 when all is said and done) and ongoing maintenance, please get in touch. More about the museum to come in future posts! THANK YOU Amanda for helping Alton with this project……IT IS SO VALUABLE to save the History of this unique place ! Agree completely, Kay. Happy to do whatever I can to help preserve our history.